Zucchini often appears in baked breads and crunchy fried foods. However when grilled this green skinned veggie can wow friends and family at your table. I know that zucchini “boats” are nothing new, but kids love boats because they take people and stuff where they need to go. I promise that these zucchini boats will take your kids and their taste buds on a trip from bland to grand in no time. 1. Prepare your grill for indirect cooking and heat it to 350°. 2. Arm your kids with a spoon or small melon baller and show them how to remove the seeds. Be careful not to split the zucchini. We don’t want any leaky boats, people. 3. Place each boat in a Weber Style Vegetable Grill Basket or foil pan. 4. Drizzle the extra virgin olive oil and season with Weber’s Veggie Grill Seasoning. 5. 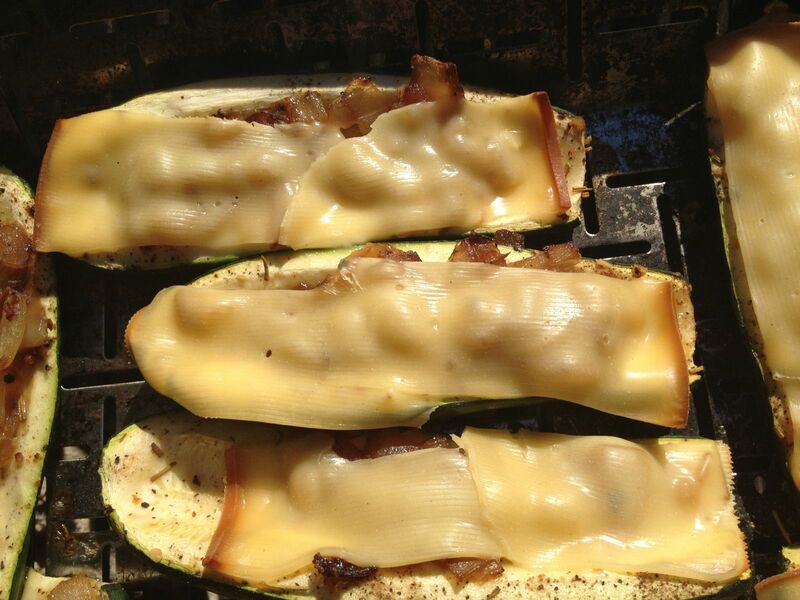 Place the grill basket or foil pan with zucchini on the grill away from the heat. 6. Close the lid of the grill and cook for 15 minutes. 7. 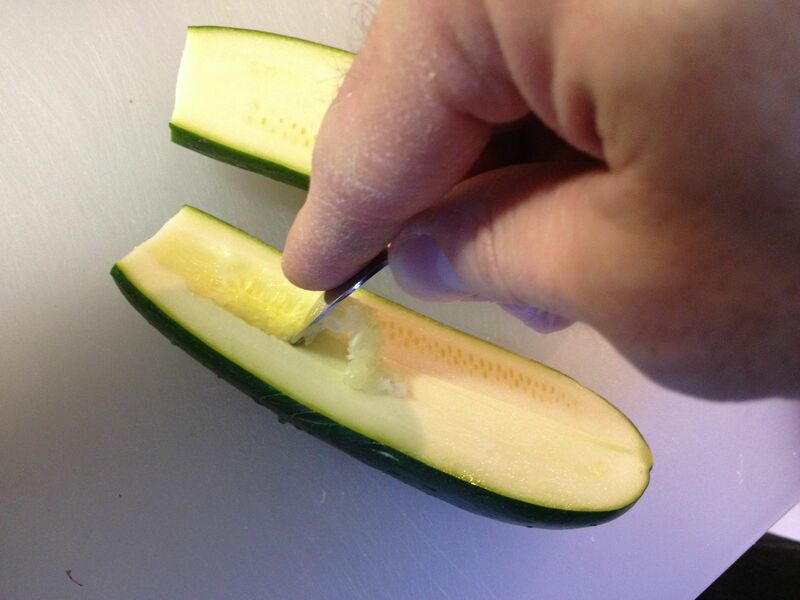 Carefully remove the pan from the grill and spoon on 1 tbsp of the onion mixture into each zucchini boat. 8. Put basket/pan back on the grill and close the lid. Cook for another 15 minutes. 9. Carefully remove the pan from the grill. 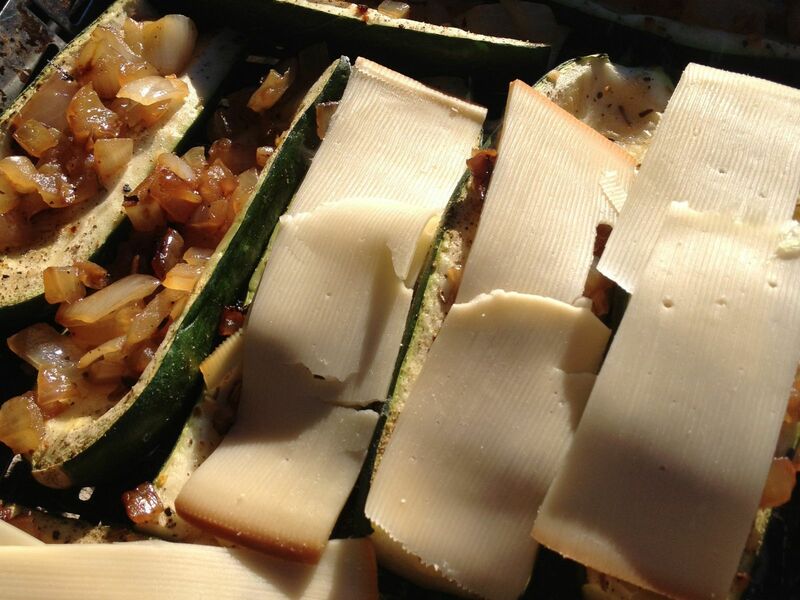 Lay two slices of Gouda cheese lengthwise across each zucchini boat. 10. Put basket/pan back on the grill and close the lid. Cook for another 10 minutes. 11. Remove each zucchini boat from the grill basket or foil pan and place directly on the grill grates over the heat, cooking for 2-3 minutes. The goal here is to get some good char on the outside. 12. Finally, replace the boats in the grill basket or foil pan and loosely cover with foil until ready to serve. At this point, the zucchini should still be tender and the cheese melted. Zucchini, like many squash, are wonderful vegetables that can withstand moderate temperatures. Cooking times will vary with larger sized squash. They also act as a blank canvas for many different flavors. Let your creativity set sail for a grand grilling adventure with vegetables!